Great 1 Bedroom Ground Floor Flat with Garden on quiet part of Moorland Road. Large bathroom and 1 Double bedroom with patio doors leading to the garden. 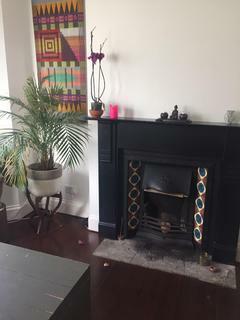 Large living room with original fireplace and a fully equipped kitchen. Marketed by Zest Living - Cardiff. Marketed by Keylet - Cardiff Bay. Marketed by Jnr Properties - Cardiff. This lovely flat is set in the heart of Roath Park. The flat boast a large lounge, separate kitchen with integrated appliances, fully tiled bathroom, and double bedroom. There is laminate flooring and spotlighting throughout. A lovely small flat ideal for a single professional. The open plan kitchen/lounge has laminate flooring, leather sofa, fitted units and integrated appliances. The bathroom is fully tiled. The bedroom has a double bed and fitted wardrobe. A compact flat ideal for a single person. This flats is set on a quiet side street, just minutes from the city centre. The flat features a double bedroom, open plan kitchen/lounge with fully fitted units and integrated appliances and a fully tiled bathroom with bath and shower.